This is the perfect Australian (based in Qld) authentic voiced, police procedural. 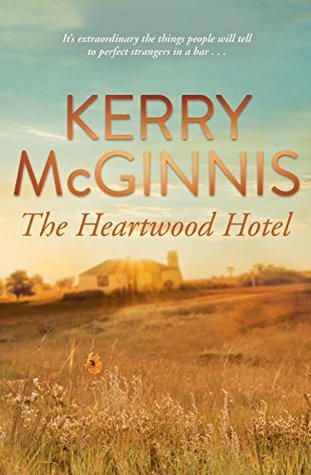 I loved this read – with its authentic police voice, its gripping narrative, its wonderful strong female protagonists and its Queensland setting. The details of policing/investigating that the author shares with the reader are intriguing and realistic. Too often crime fiction novels or movies/TV series based on crime fiction skip a lot of these type of details, giving their protagonists the power to do as they please, how they please. 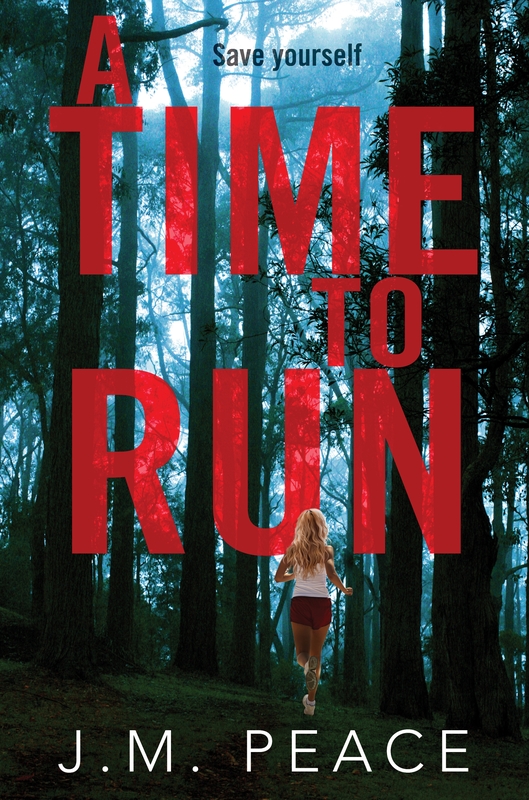 This narrative reveals the reality of the work, chapters alternate between settings in the police station where we see the hard work being played out and the legal requirements being adhered to juxtaposed against scenes of Sammi in the forest, scenes of the practical against the tense, emotional and terrifying. The pace is fast, the tension grows as we race to find Sammi. The reader often finds themselves asking “what they would do if in this situation.” Sammi is practical, focussed and realistic, the hint of paranormal/Angels adds an extra dimension to her character and to the read. Is she hallucinating? Is she dreaming? I loved this element of the story – just a wisp of “other worldly” adding interest and asking questions that the author lets you answer. A great debut novel that only leaves one question unanswered, when is the next book in this series ready for release? To see what other book bloggers thing about this novel – check out the other participants on this blog tour here. 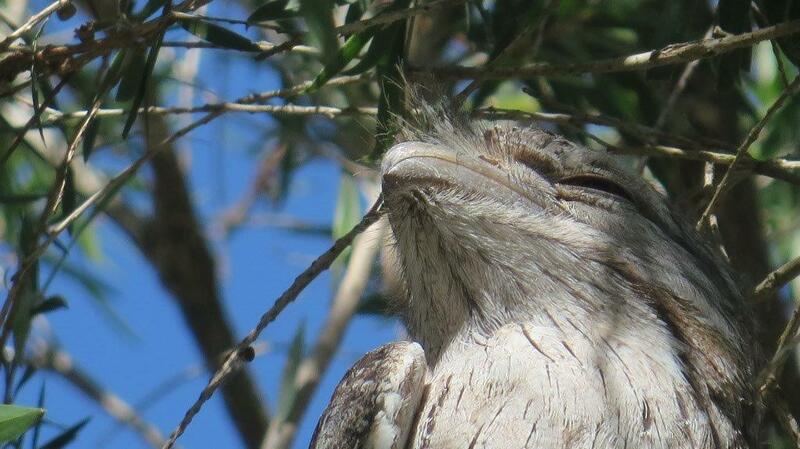 Life affirming, restful and restorative. This is a beautifully painted picture of rich colours, ruffled feathers, about creating a space, a nest; to lie in, to return to, to heal and nurture oneself in or is this more about the empty nest? This is a complicated narrative beautifully told. It was by coincidence I picked up this book just as we were travelling around south east Queensland, here, now, the land is dry and waiting for the rains as is the area and town this book is set in. I really enjoyed the descriptions of the landscape, the flora and the fauna and the deep connection the protagonist has with the land and the rhythms of the seasons. It is a very relaxing almost meditative style of storytelling that quietly involves the reader in Jen’s the day to day life. There is something pleasing about her ritual baking, her weeding, planting and creation of art, her observation of nature. Jen appears to be leaving in the moment, but realistically she is stuck in the past; in past relationships, in lost lives and absent parents. Slowly we witness Jen’s metamorphosis into a more whole and emotionally healthy individual as the mysteries surrounding her are revealed and she reconnects with the present and the community. We are given hints that she may have let go of last relationship as she scatters mementos to the wind and reconnects with old school friends and rediscovers a friend who may be moving back to the area who shares her interest in birds. She reconnects to her community through her art and her passion for rehabilitating the bush. 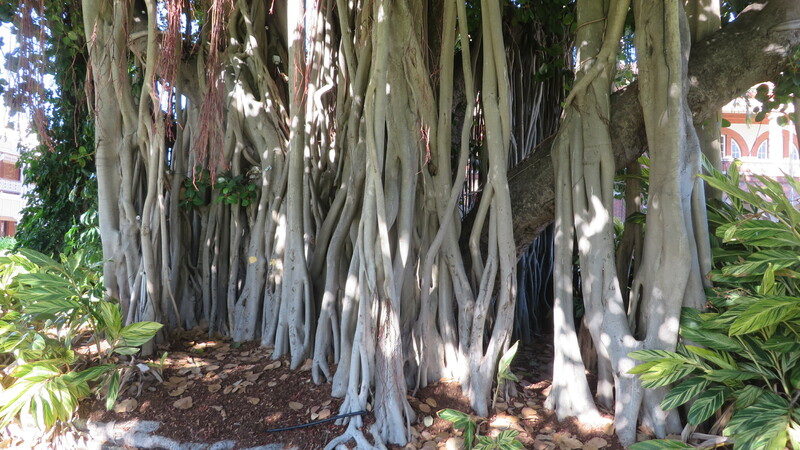 Nature is a wonderfully healer. 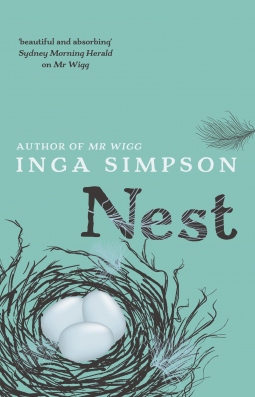 Nest and all the permutations of its meaning are discussed and revealed for the reader to reflect upon in this narrative. Cherish the writing in this book, reflect on the peaceful setting and appreciate the healing hands of Mother Nature. 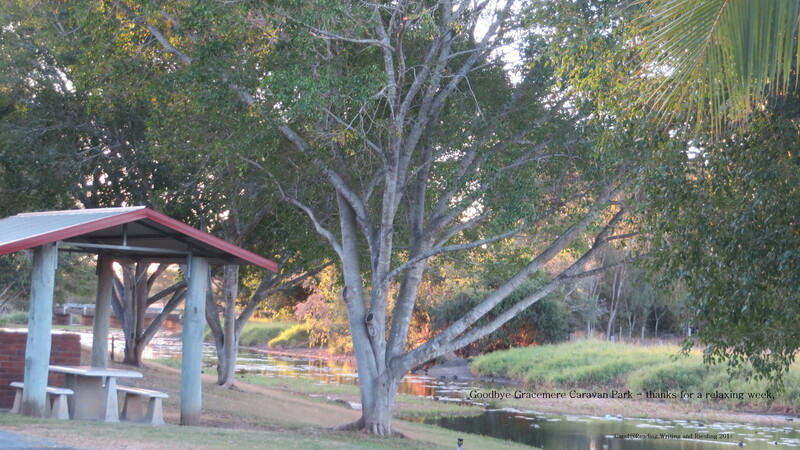 We Say GoodBye To Gracemere Caravan Park. 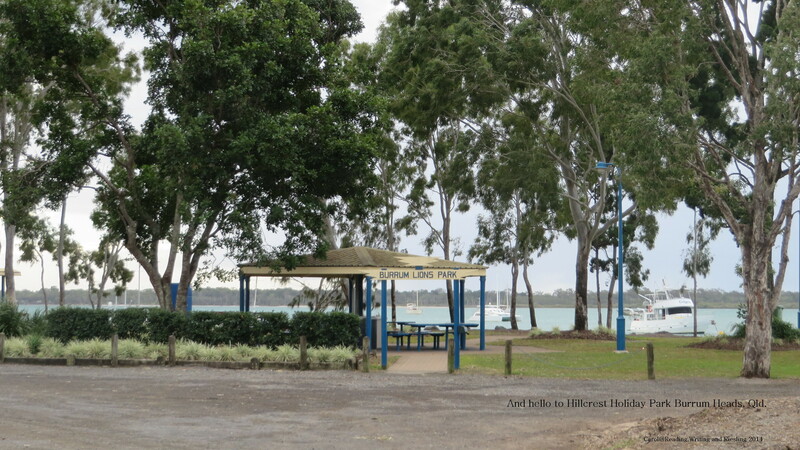 And hello to Burrum Heads- where the river meets sea. 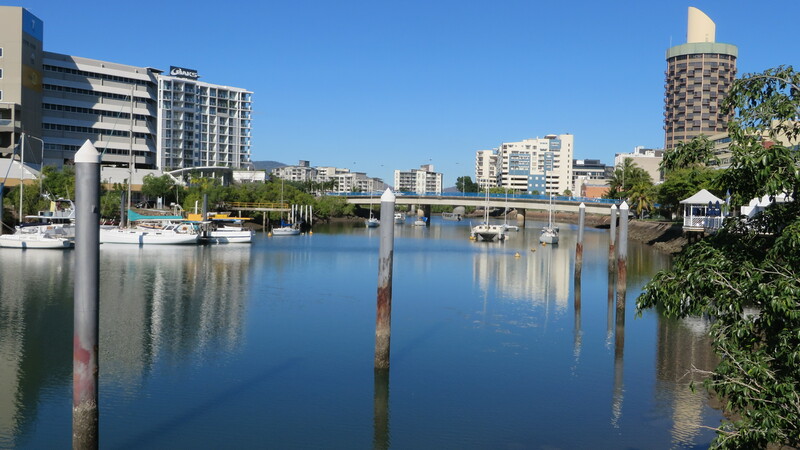 The Town of Mackay, Queensland. 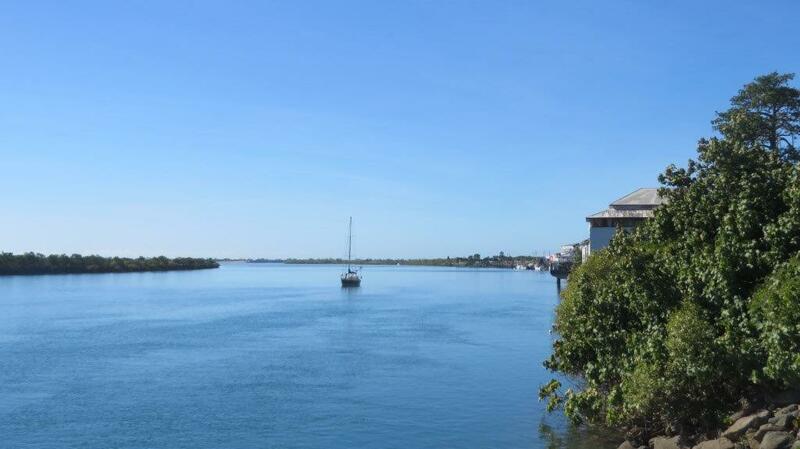 A beautiful day to be by the river that passes through Mackay.